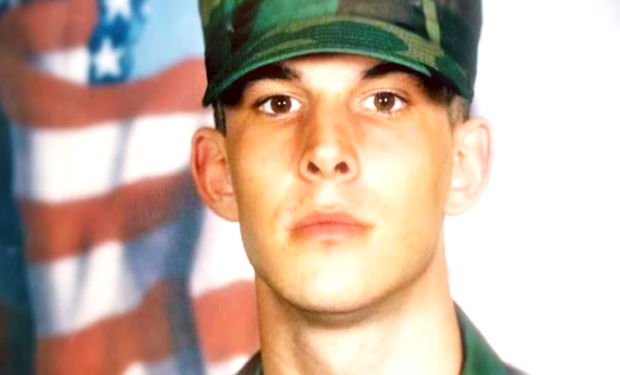 The Dateline episode “Evil Was Waiting” investigates the 2012 murder of 28-year-old Sgt. Vincent Goslyn, Jr. He had a tough childhood; his mother left when he was a baby. Vince’s father, a veteran, thought the milit ary would do Vince (“Junior”) some good. Vince agreed, signed up with the Army, and got married and started a family. They had three children together. When Vince returned home (Christian County, Kentucky) from his second tour in Afghanistan, he and his wife Jessie Goslyn went out to celebrate. While in the car on the road, Vince pulled over to help a stranded motorist. (Prosecutors say Jessie lured her husband, played on her husband’s goodwill, knowing he would stop to help.) But the motorist wasn’t a stranger to Vince’s wife. It was her boyfriend at the time, Jarred T. Long. Long shot Vince Goslyn several times to his face and head, and left his body on the side of the road. In 2017, Jessie Goslyn pleaded guilty to complicity to murder her husband and received 22.5 years in prison. In February 2018, Long, 30, pleaded guilty to first degree murder rather than facing a jury and possibly receiving a life sentence. He received a 30-year sentence. At his sentencing, Long told the judge, “I am admitting I am the cause of Mr. Goslyn’s death. Yes, I am sorry, but doing it for money was not the reason.” Dateline airs Fridays at 10pm on ABC. Who Is Teacher Mrs. Nelson In ‘The Wrong Friend’ Lifetime Movie?